In a bowl, combine the beer, yeast and sugar. Let stand until it starts to foam on top, about 5 minutes. In a stand mixer or food processor, it is important to work with the plastic blade or the dough hook, combine the flour and salt. With the food processor at medium speed, add the oil and yeast mixture until the mixture forms a soft ball. 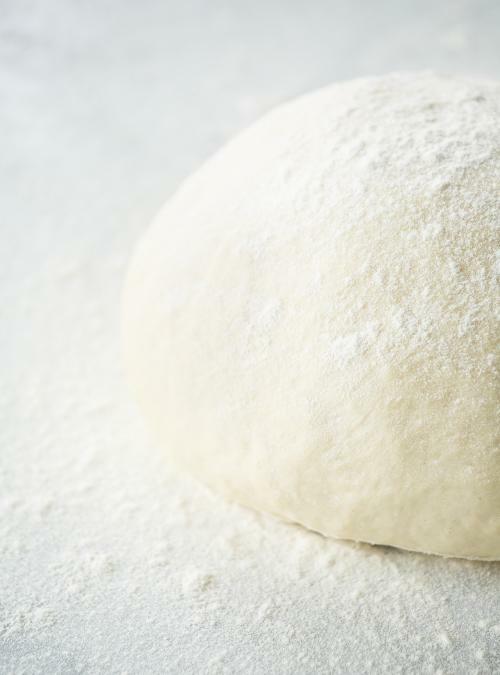 Remove the dough from the bowl and knead for a few minutes, dusting it with flour to prevent sticking. Place in an oiled bowl and cover with a clean cloth. Let the dough rise for about 1 hour in a draft-free warm place. Cut it in half. Use the dough immediately or cover in plastic wrap and refrigerate (no more than 12 hours) or freeze. Place the rack at the bottom of the oven. 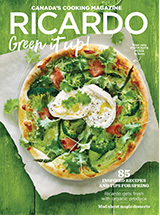 Place a pizza stone or an upside-down baking sheet on it. Preheat the oven to 230 °C (450 °F). Sprinkle a little cornmeal on the hot pizza stone and on the pizza peel. 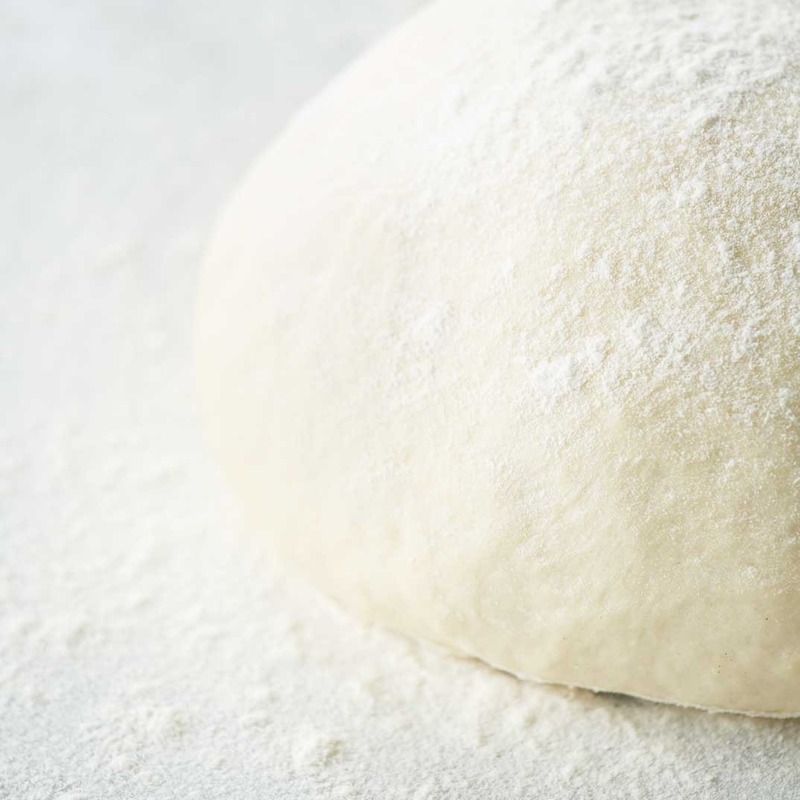 Roll out the dough into two 25-cm (10-inch) in diameter crust. Place the dough on the peel and garnish with toppings. (See our suggestions below). Slide the dough onto the hot stone and bake for 10 to 15 minutes or until golden brown. To activate the yeast, the temperature of the beer, or any liquid, is important. It should between 41 and 46 °C, which means it is necessary to heat the beer a little. If it is too hot, you risk killing the yeast, if it is too cold, the dough won’t rise well. To garnish this pizza, here are our suggestions. Olive oil with garlic, artichoke hearts, feta cheese, hazelnut oil, spinach, mushrooms, bacon, Emmental cheese, asparagus, goat cheese, tomato sauce or tomato paste in a tube, confit garlic, mozzarella cheese, fresh basil oil olive, chorizo, figs and arugula. This was amazing. We used Tricerahops beer and kept the dough in the fridge overnight. Then, we cooked it in our bbq pizza oven insert. Better or at least as good as any pizza I've ever had. The crust was perfection! I've been making homemade pizza for 30 years, using the standard pizza dough recipe. I was intrigued by the beer in this one. I was not impressed with the result. The dough was too sweet. I suspect that since beer itself contains sugar, adding a tablespoon of additional sweetener made it almost unpalatable. Celebrate Easter with a grand feast to share with family and friends.